Diane Rapp became an entrepreneur when she started her own dog grooming salon in Santa Barbara, California. She spent the next thirty years as a small business owner; she sold real estate, started an office supply/copy center, and performed free-lance advertising design. During all those years Diane wrote stories as a cure for insomnia. 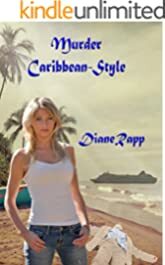 After writing a tour guide book to the Caribbean together, Diane’s daughter gave her the idea of writing a mystery set on cruise ships in the Caribbean. "Murder Caribbean-Style" and "Murder on a Ghost Ship" are the first two novels of a High Seas Mystery series. Readers meet the main characters of the series and learn about life aboard a ship while solving murders. There is danger and romance mixed in with the action. 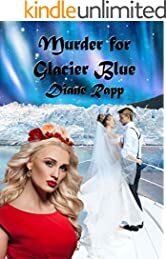 The third book in the series, "Murder for Glacier Blue" was released in August of 2013. The novel takes the reader on a cruise to Alaska with an art heist, murder, and a wedding planned for Glacier Bay. Now readers may "play" games based on Diane's High Seas Mystery Series in a new game book. No lines to learn or parts to play. Three games designed for home or large parties are included in this full-color print edition. Use the games for fundraisers or pot luck parties and have loads of fun. 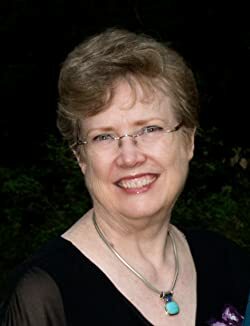 Visit www.quicksilvernovels.com to learn more about all of Diane's books. Sign up to her newsletter for a FREE SHORT STORY! Contact Diane from the website or find Diane's posts at Facebook and on Twitter to make friends. Murder Caribbean-Style (High Seas Mystery Series Book 1) $0.99 Until March 30! “Sometimes a reader needs to curl up with a deliciously good book and disappear from their own world for awhile. Murder Caribbean-Style spirited me away into a world that oozed with the charms of such exotic locations as Barbados, St. Thomas, Sint Maarten and Puerto Rico. Diane Rapp offers a gift to her readers: She whets an adventurer's appetite with zesty, vivid descriptions of fascinating out-of-the-way places at each port, sites that are unknown to many tourists. We are treated to descriptions of not only the duties of personnel on a cruise ship but, more so, their very human nuances.” Review by Doreen Cox. Crime, suspense, and shipboard romance, with a vengeful ghost to keep it exciting - this book has it all...Well drawn characters with several plot twists and a cleverly integrated sub-plot hooked me from the beginning and held me right though the last page. Good old-fashioned mystery and suspense with a little romance to keep it light. I enjoyed it - you will, too. When the president of Constellation Cruise Lines, Emily Schultz, buys an old cruise ship at a bargain price, she doesn’t discover there’s a ghost aboard until it’s too late to cancel the deal. Desperate for help, Emily calls Kayla Sanders and Natalia Baliskov back to work. They embark on a frantic search to discover the identity of the ghost and her murderer. The “Lady” tries to communicate by flooding Kayla with crazy visions of the ship from her final voyage. 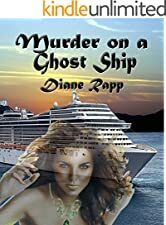 Kayla realizes the ghost is afraid her murderer will kill another passenger sailing on their next cruise. The entire ship is filled with suspects and potential victims, since everyone on the Sea Mist is a repeat passenger. The investigation ramps up when Kayla’s fiancé, Steven Young joins her onboard the ship. Suspended from Interpol after his partner got killed, Steven feels guilty and incompetent. While tracking down clever smugglers selling black market antiquities throughout the Mediterranean, Steven’s partner got too close. Steven doesn’t know there’s a leak inside Interpol! After the smugglers murdered his partner, they traced Steven to Colorado and wrecked Kayla’s cottage. Now they know he’s onboard the Sea Mist and want to kill him. Kayla must interpret her visions from the Lady in time to prevent another murder, and Steven needs to unmask the ruthless leader of the smuggling ring to get his job back. Their future depends on mutual success. Painted in 1907, “Glacier Blue” is an oil painting recently appraised at 2 million pounds. Reginald C. Pierpont, the artist who created the stunning masterpiece, studied with the Impressionists in Europe and bold visionaries in the Americas. The sole heir to a family fortune, Reggie used his vast holdings and leisure time to experiment with new techniques and daring ideas to create his art. Although the masterpiece failed to turn heads during his own time period, Reggie’s secret method triggers larcenous schemes among modern crooks. Genuine Fakes, an auction company that sells “authorized copies” of famous paintings, arranges to hold six charity auctions of fakes during a voyage to Alaska. Million-dollar originals will be displayed next to the Genuine Fakes during each auction—six opportunities for international thieves to steal a valuable piece of art. The president of Constellation Cruise Lines, Emily Schultz suddenly needs her new crack security team to guard the paintings. When one of the fakes gets stolen from the buyer’s cabin, a discrete search for the missing canvas begins. The stakes rise when a body is found next to the missing fake, and the investigation suddenly takes a deadly turn. The investigators learn more about "Glacier Blue" and realize it’s no ordinary work of art. The painting’s special secret already provoked one murder, and it gets easier to kill again. Emily begs Kayla and Steven to work for a few days before their wedding on Glacier Bay. They expected a stress-free cruise up the Inside Passage of Alaska, filled with glaciers, wildlife, and stunning scenery, but an art heist and murder might interrupt their romantic plans. To ramp up stress levels, Steven’s ex-wife, Cynthia, shows up for the cruise on the arm of Steven’s school chum—and Kayla feels hate-at-first-sight. The young couple must entertain future in-laws while trying to outsmart murderous outlaws. As the ship navigates through icy waters, truth lies hidden from plain view, like the treacherous underwater portions of dangerous icebergs. Greed, jealousy, and envy generate potent motives for murder. Does the Stalker seek revenge, justice, or stolen jewels? The Stalker has tracked a target for thirty-nine years and won't be easily stopped by a pair of ship’s detectives. Now DNA profiling might lead to the target, endangering innocents along the way. Natalia and Jason work together on the cruise ship, Sea Mist, and they must stop the Stalker from harming identical twins onboard the ship! Hundreds of suspects are cruising the western Caribbean, including six sets of identical twins participating in the Twins Project. It all began with the Jonestown Massacre of 1978. The supposed suicide of Jim Jones prompted an intense manhunt by his enforcement team, the Red Brigade, which honed skills needed to capture or kill the illusive prey. Who is the man the Stalker is seeking? Which pair of twins are in danger? Natalia and Jason accompany the twins on shore excursions, and discover that preventing a crime is more difficult than solving one. The partners work to unmask the culprit and protect the twins. Will Natalia and Jason be able to stop a well-prepared assassin? 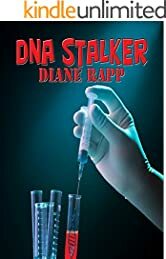 DNA STALKER is an intense thriller combined with romance and mystery set in exotic destinations. The book is clean with limited violence and no “blush-worthy” scenes. “Golden Legacy” blends historical adventure with modern-day mystery in an exciting novel that follows two time lines. Embarking on a harrowing treasure hunt, two daring heroines tackle the hazards of gold country more than a century apart. Although a stand-alone novel, readers who have already met Kayla and Steven in the High Seas Mystery series, may enjoy their continued love story in the Rockies. See real places around Ouray, Colorado through actual photos within the narrative. Ginny is a “modern” English gentlewoman traveling alone in the year 1888. At the age of twenty-five, she deems herself a spinster, admitting the condition results from her own decisions. After Ginny gains control of her own money, she sets out to travel the world, hoping to publish a series of travel journals. Upon landing in San Francisco, Ginny’s aristocratic life drastically changes course when she learns that miscreants shot her twin brother, Johnny. Ginny journeys by train from San Francisco to Ouray, Colorado, faithfully recording events in her journal. After tending to Johnny in hospital, the gutsy woman strikes out to locate his hidden gold mine, armed with courage, a fountain pen, and two sharp hatpins. It is her duty to deliver supplies and information to Nick, her brother’s business partner and dear family friend. In modern day action, Kayla and Steven deal with aftermath from the aborted murder attempt on Kayla after their wedding. Plagued by turbulent dreams of drowning, Kayla develops a paralyzing fear of open water. She’s summoned to a dying aunt’s bedside and jumps at the chance to trade life at sea for the comforts of home in Colorado. To inherit the family legacy, Kayla must solve clues and locate the family gold mine. After reading Ginny’s journal and searching for clues scattered throughout a charming Victorian house, Kayla and her friends endeavor to find the mine. They cross hazardous terrain through wild country and face tricky problems inside the derelict mine. Old generators lie dormant, and they need to activate a trompe to open the “safe” inside the mine. Clues purloined from the house might guide disgruntled heirs to steal the treasure for themselves. Kayla struggles to decipher the mystery before snow falls, testing her courage, ingenuity, and honesty to qualify for the golden legacy. Can she overcome fear to reveal what is most important to her future?